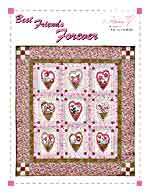 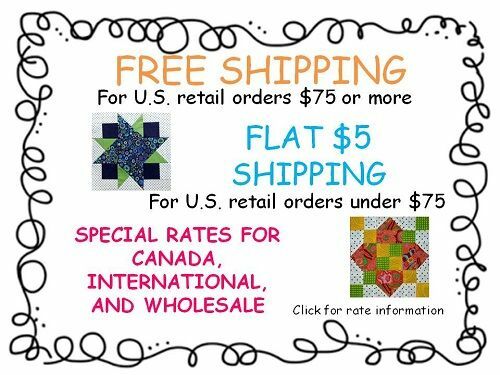 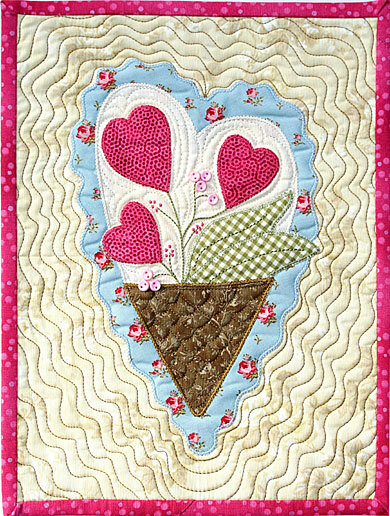 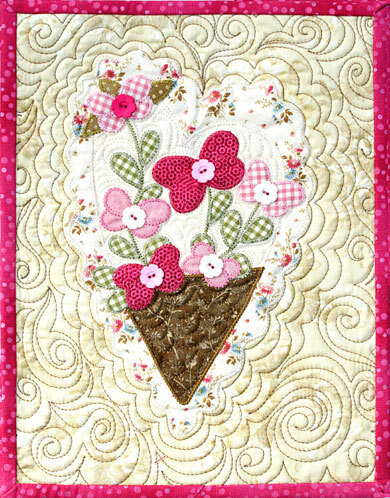 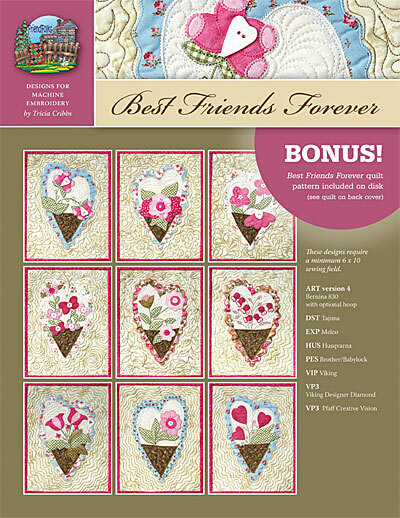 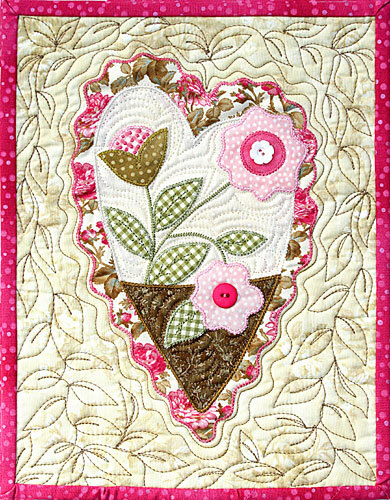 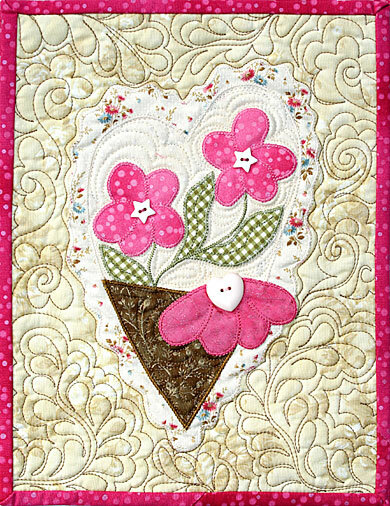 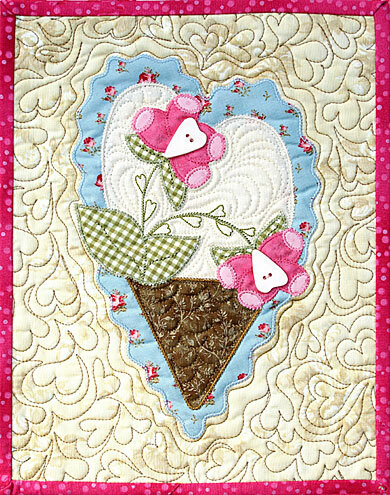 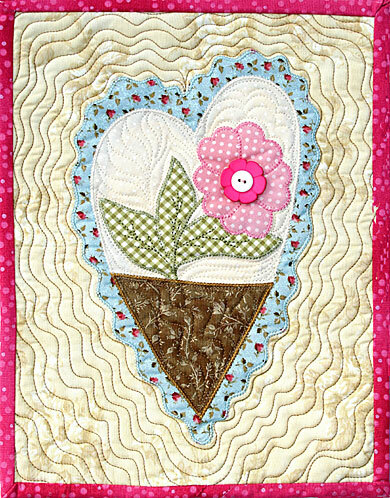 Minimum sewing field size - 6" x 10"
Best Friends Forever disk contains 9 embroidery/applique hearts plus our Best Friends Forever quilt pattern. 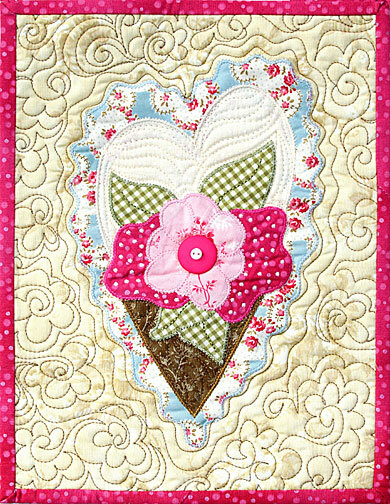 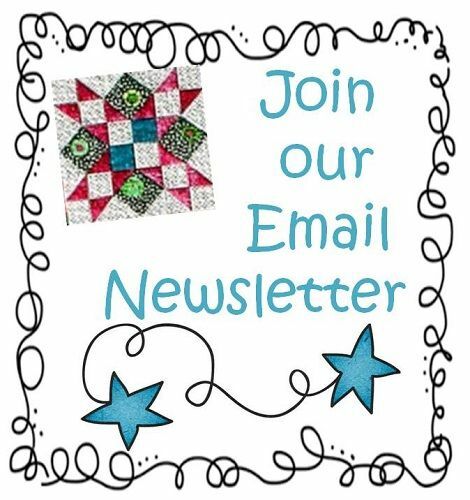 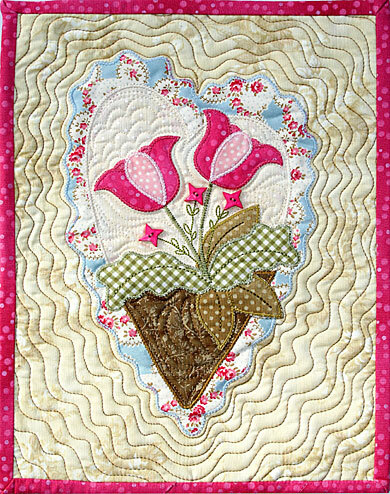 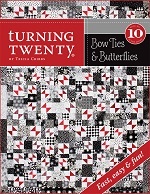 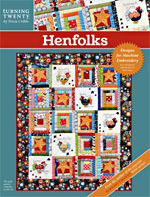 Using this disk you will be able to acomplish all of the applique and all of the embrodery. 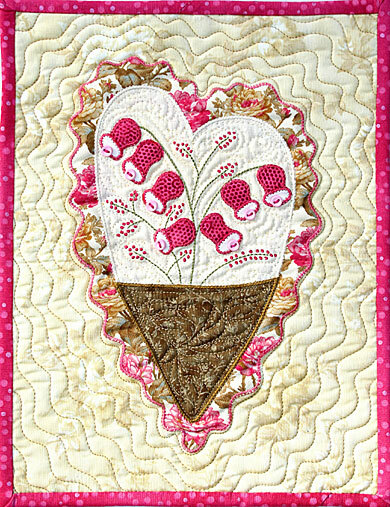 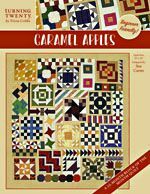 I completed my quilt on my longarm quilting machine using freehand quilting techniques.